Norton Smith is a unique boutique law firm extensively focused on the provision of legal and advisory services to the financial services industry. Our lawyers have spent their careers in and about the financial services industry, including significant experience gained from fulfilling roles as directors and other managerial positions at major industry players. Our shared heritage and experience make our lawyers unique and creative industry partners, who can give you practical advice for making informed business decisions and controlling your legal risk. We have worked on a wide range of transactional and regulatory matters and are well known for solving challenging business problems and resolving sophisticated legal issues. Our firm is highly regarded for its provision of commercial related legal services. We take an entrepreneurial approach to business problems solving and work in tandem with our clients to assist them to understand and overcome the various legal and commercial issues faced at the various stages of the business development cycle with the objective of enabling our clients to maximise their business opportunities. Advisor's, funds and financial services organisations in Australia today must grapple with an ever-changing maze of legal restrictions and standards, under the increasingly watchful eye of the Australian Securities and Investments Commission and the Australian Prudential Regulatory Authority, as well as other industry regulators both within Australia and internationally. With its extensive history of experience, Norton Smith has the industry-specific knowledge to counsel advisor's, funds and financial services organisations on the complex legal requirements they must meet in order to stay in compliance and satisfy regulatory expectations. Admitted as a Barrister and Solicitor in the States of New South Wales and Victoria and entered in the register of practitioners in the High Court of Australia. Richard has over 30 years of experience in finance, taxation and corporate law, with particular expertise in funds management, capital raising and structured finance. He has acted for major corporations and financial institutions in relation to public offerings, corporate structuring, merges and acquisitions. Richard has been a director and a member of a number of compliance committees for a considerable number of significant local and international fund managers. He has also been a member of a considerable number of industry association and regulatory committees. Richard specialises within the Australian and Asian Pacific Region and is well known for solving challenging business problems and resolving sophisticated legal issues confronting both Australian and International clients. He is internationally recognised for his corporate and financial industry practices. With such extensive experience, Richard, has the industry-specific knowledge to counsel financial services organisations on the complex legal requirements they must meet in order to stay in compliance and satisfy regulatory expectations. Richard is known for innovatively handling transactions ranging from the ordinary and routine to the extraordinary, challenging and complex. His legal practice is built on delivering partner-level attention and unfaltering dedication to client services. His clients regard him as being approachable, responsive and efficient. 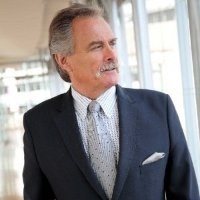 He is devoted extensively to the financial services industry and knows the industry, the participants, the laws and regulations. .
Richard has also represented clients in litigation, particularly securities-related, corporate governance, and commercial litigation and, also, advised clients in regulatory and enforcement proceedings.